We live in one of the emptier parts of the state, as far as human population goes. You drive for miles and miles between towns seeing nothing but forests and salt marshes, crossing over wild looking rivers and swamps. Some people prefer to keep driving, to stay on the paved roads we built to take us past these places. But others amongst us are drawn in. You can leave the paved world and possibly be the only person for miles. And yet you are surrounded by more life than is apparent from your car window. 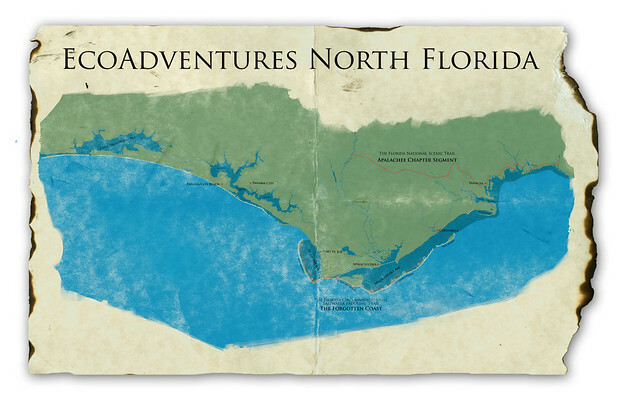 Our EcoAdventures explore the surprising number of activities one can enjoy in the wild places in our area. 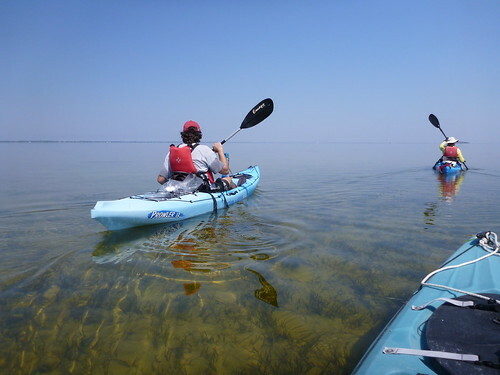 We have paddled and snorkeled in St. Joseph Bay. We have hiked in the Cathedral of Palms, and along the Sopchoppy River. We have tracked red wolves on St. Vincent Island. And there is a lot more to come. You can keep checking this blog for new EcoAdventures, after they air on our dimensions program (and we’ll have program listings for that on this page as well). So far we’ve teamed with nonprofit organizations, government agencies, and small business owners who are all dedicated to the conservation and appreciation of the wildness that surounds us. But we’re also interested in hearing from individuals. What are you doing in unpaved Florida? What should we be experiencing?